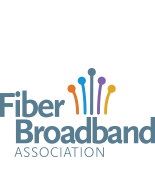 The Fiber Broadband Association and its members offer learning opportunities through webinars, which are open to the public unless otherwise specified. Interested in presenting a webinar? Learn more. Now that fiber deployments are thriving, it’s time to look at the valuable lessons we are learning and the products and procedures that are improving network productivity, reducing labor requirements, and increasing the quality of connectivity. Attendees will learn some new and innovative ways to deliver fiber to a broad variety of customers. Residential, business, MDU/MTU, and wireless are just a few of the types of fiber rollouts we will explore, and with the advent of 5G looming ever closer, we will look at how the lessons of the past can be applied to the rollouts of the future. Scot Bohaychyk, Clearfield product marketing manager, has nearly 30 years in the Telecommunications industry. Scot’s background includes serving in The White House Communications Agency, providing communications infrastructure support for then President Ronald Reagan and his White House staff. Scot’s private sector experience includes OSP field and engineering experience as well as market development and sales work in the fields of blown and pushable fiber for long haul fiber installations both in the United States and overseas.